We started off with this facility in the second half of Twentieth Century. Ms Shirin Limaye is the proud face of PYC , she has represented India at a tender age of 16 years for Senior Women's Team. 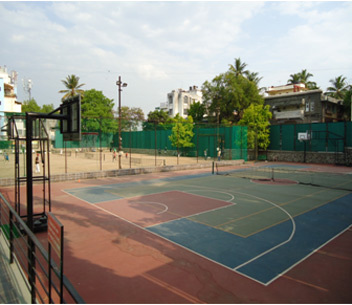 We are affiliated to Pune District Basketball Association. PYC was involved in arranging for a workshop on Basketball in association with the representatives of NBA.